When it comes to celebrity surgeries, few cases have been pointed out more frequently than the long list of Courtney Stodden plastic surgery claims. The young singer and model is most well known for her short, but very public marriage to actor Doug Hutchinson. The two made headlines when they married – at the time he was 50 and she was only 16. 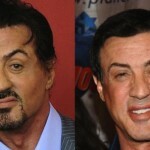 Three years later, the couple divorced and Stodden recovered from the split by indulging in a few surgical procedures. This isn’t the first time that Courtney Stodden plastic surgery stories have surfaced. The teen has been going under the knife for some time. 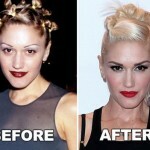 Beginning with bleaching her hair and hitting the tanning salon, Stodden has been experimenting with her look for years. Though she originally denied rumors of surgically altering her appearance, even going on television to be publicly examined by a doctor, Courtney Stodden plastic surgery rumors were soon verified by Stodden herself. Taking part in an E! Entertainment interview, she acknowledged the claims and made it known that she stands by her decisions, as well as the way she currently looks. Which procedures has Stodden signed up for? The most obvious on the list is repeated breast augmentations. At age 18, she went in for the first procedure. However, she later opted to size up again and went in for a second breast augmentation surgery. The singer took to Twitter to show off her new curves, posing in tight, low cut dresses for her fans. While Stodden was clearly very happy with the results of her surgeries, her husband Dough Hutchinson was less than impressed. The second surgery took place just before the two ended their marriage. Stodden admitted in interviews that her ex-husband preferred a more natural look and was against the surgeries. She mentioned that he asked her not to have the second surgery, as well as requesting that she nix the hair extensions and skip the false eyelashes. After splitting up with Hutchinson, Stodden went all out with her new look and continued posting pictures on her social media accounts. Newly divorced, the Courtney Stodden plastic surgery list grew longer. The once fresh faced teen went back in to her favorite surgeon to have a Botox injection in her lips. Once again, Stodden went online to show off her new look. Swiping on some neon lip color, she posted a pouty picture on Twitter with a comment on her new look. Fans and followers, however, gave mixed reviews. While some celebrated Stodden for celebrating her newly single status with lip injections, others mocked the decision and said the results were scary. The starlet is no stranger to controversy and being in the public eye, having appeared in reality television shows and constantly being the subject of tabloid stories. Stodden went straight to the media to combat the negative comments. She claimed that she’s happier than ever and has no complaints about the results of her multiple plastic surgeries. Whether additional surgeries are in store for Courtney Stodden is yet to be determined. For now, the young woman is embracing her newfound identity as a se## symbol.